Gas Logs, Fireplaces & Fire Pits. 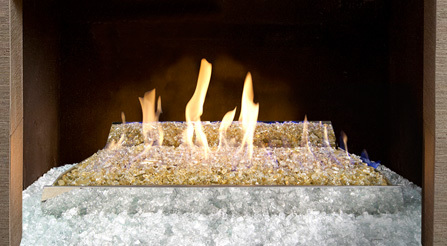 G21 Vent Free Contemporary Burner is the latest in Vent Free technology. G21 features elevated, tapered platform, and mirrored front and back; all stainless steel burner; and burns cleanly with glass/gems directly on the burner ports providing a beautiful sea of flames.